Frozen Chicken for the wholesale and hospitality industry. GZS-A. is an American food company .We export direct from the factory the brands we represent and also we intermediate some commodities. Our technical knowledge and experience in FOREIGN TRADE, gave us a remarkable reputation and reliability among our customers abroad. We are registered with Sam.gov to sell to US institutions all over the world. 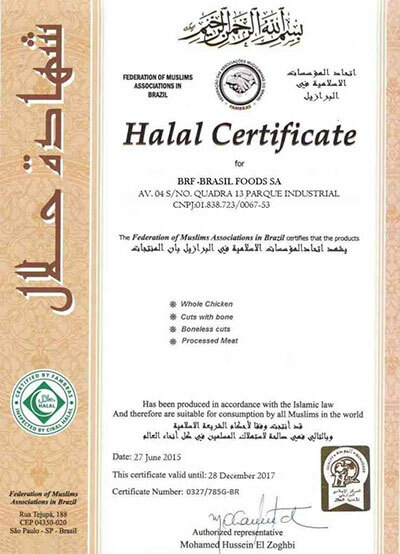 All our animals slaughtered by Muslims individually by hand, in accordance with Halal guidelines. 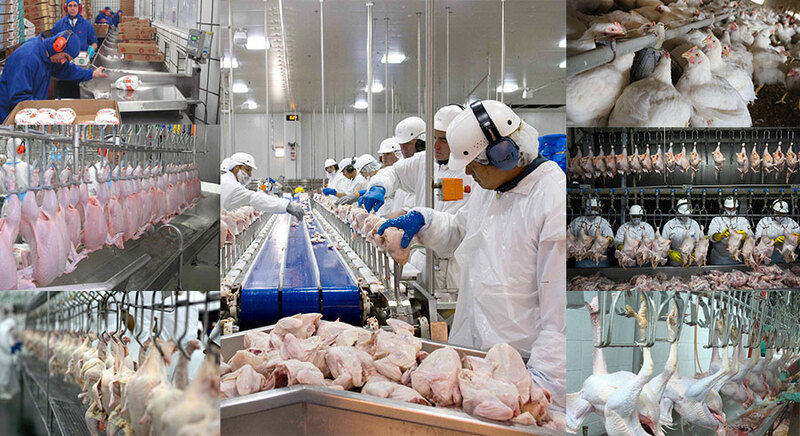 The chicken processing facility maintains a strict adherence with all humane animal treatment and slaughter requirements, including cut accuracy. 5. frozen grade A processed chicken leg quat. We can customize your order. SADIA | PEDIGAO | BOTAVO | QUALY | ELEGE | BRF Or your own after a lengthy presence. 50% T/T against Proforma Invoice and 50% T/T against Bill of Lading and other shipping documents . As of 1st January 2016, we no longer accept L/C payments for any orders. All payments must be paid following instructions on the Payment Instructions. T/T payments shall be received by GZS-America account or an authorized account by GZS-America with account bearing our names . We guarantee every payment sent to us directly, this guarantee is sealed with a payment record and receipt. Buyer makes 50% down Payment of total value of order. Seller Prepares shipment within 3 days after confirmation of prepayment. Seller ships products and provides shipping documents. Buyer Confirms documents and deposit Balance Payment.